Uses arrival time information from BELLHOP or a simplified multipath calculator for generating large-scale channel realizations. 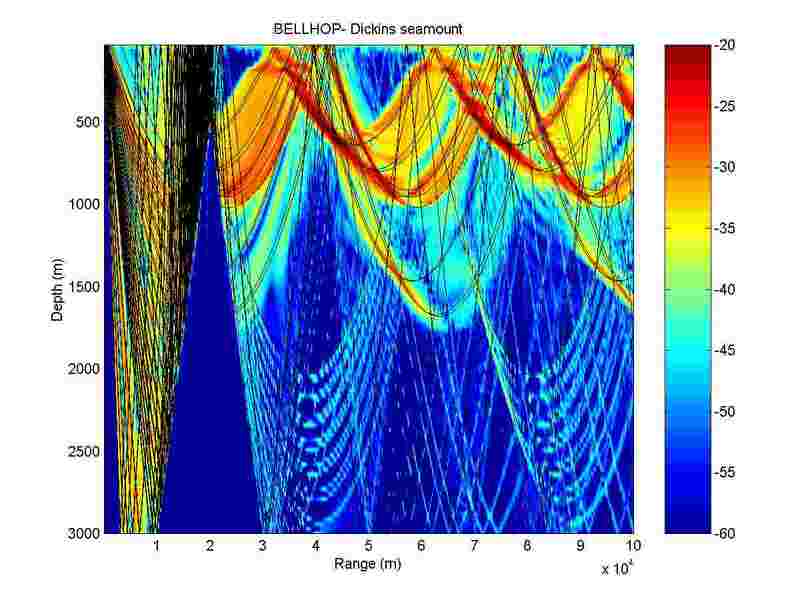 World Ocean Simulation System (WOSS). A GUI for BELLHOP applied to underwater communications and networking (F. Guerra, P. Casari, M. Zorzi, U. Padova, ITALIA). Describes a Fortran ray model which follows closely the Bowlin ray code "Ray" (written in C) and drawing on earlier work with John Colosi. This version is optimized for long-range, deep-water calculations.